Why, hello there! You may know me, you may not; it doesn't really matter. I would just like to take the time to give you a little piece of advice and some guidance. Let's cut to the chase: you're thinking of going on a Kairos retreat, and you should. So, just sign up now. They say that Kairos comes at the right time for everyone, so if it's not quite your time yet that's OK, and I encourage you to continue to pray about it until your time comes. Whether the right time for you is now or later, Kairos is something that you absolutely need to experience before you no longer have the chance. What exactly is Kairos? There actually isn't much that I, or anyone who has gone on a Kairos retreat before, can actually tell you, as we want you to experience it for yourself. What we will all tell you is that Kairos, or "God's time", is the best thing ever. It's a weekend full of reflection, lots of tears, getting to know yourself and God, making new friends and most importantly, love! 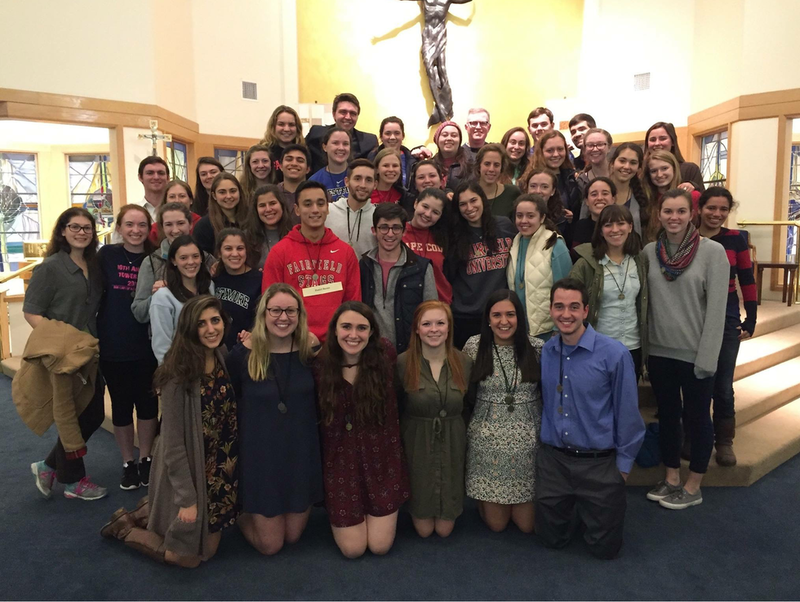 Kairos is a once-in-a-lifetime experience like no other. You might be saying to yourself, "I'm not Catholic" and that is totally OK. You don't have to identify as Catholic to go on Kairos, or even be a practicing Catholic. That is totally fine! Go to get to know God or your higher being. Now that is no excuse. Everyone is invited to tap into "God's time" for one weekend out of the semester, regardless of who you are or who you worship. You will thank me later. The way that you feel after Kairos, the "Kai-High" as it's so deemed, is unlike anything that you have felt before; that I can guarantee. Personally, I have never felt anything like that before I went on Kairos, and probably never will again in my life. Even though it would be amazing to experience it all over again, and I'm sad that my one shot is over, I'm thankful that it happened when it did. I honestly want to sign everyone that I know up for a Kairos retreat because I want everyone to feel the amazingness that comes as a result of it. Kairos led me to make so many new great and lasting friendships around campus, and caused the ones that already existed to only grow stronger. I went into Kairos 100 percent blindly as a first semester freshman, totally not knowing what to expect or even what it was all about, just knowing that it was awesome and I should go. It made the experience that much more special. It's amazing to get or feel something that you have never imagined was attainable; something that you definitely never expected in a million years, and that was Kairos for me. My relationships to my family, my friends and my relationships with myself and God grew so much stronger, and for that I am forever grateful. So, my dear friend, I just want to leave you with this advice. You are so so loved. How much are you loved? Go on Kairos; you'll find out.